Xilisoft FLV to 3GP Converter is designed for 3GP mobile phone users to convert FLV videos downloaded from YouTube to 3GP files. 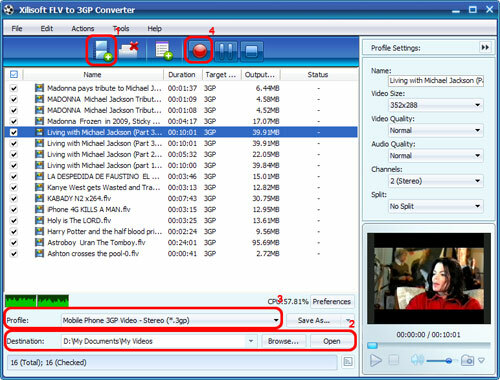 This guide will show you how to convert FLV to 3GP video file with this software step by step. First, download, install and launch Xilisoft FLV to 3GP Converter. Tip: You can double click the loaded file in the file list to view the file information. 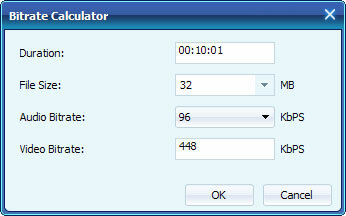 Tip: After conversion, you can click "Open" button beside "Browse" button to check the output files directly. Select the file and click the "Add Profile" button to add a default profile below the file, then select the profile you want from the "Profile" drop-down list. Repeat this step to add as many profiles as you want. In this way, you can get them converted in one click. 4. Click "Snapshot" button below the preview window on the right-bottom of the main interface to take a snapshot during preview to save as JPG, GIF, PNG, or BMP file.